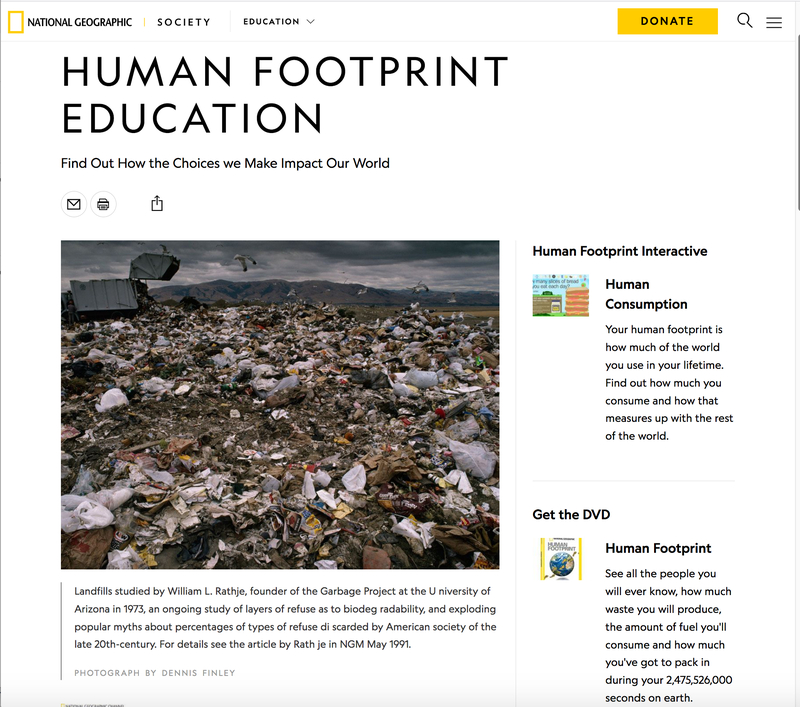 NESTA features stellar resources that you can use with your students and that can enhance your own content knowledge and pedagogy. 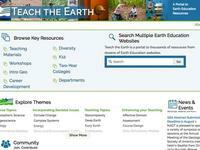 Check out the resource collections and image banks. 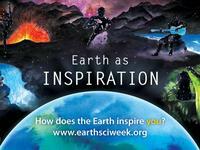 Every Day of Earth Science Week, sponsored by the American Geosciences Institute (AGI), has a special focus. This collection provides resources for each of the days of the week. 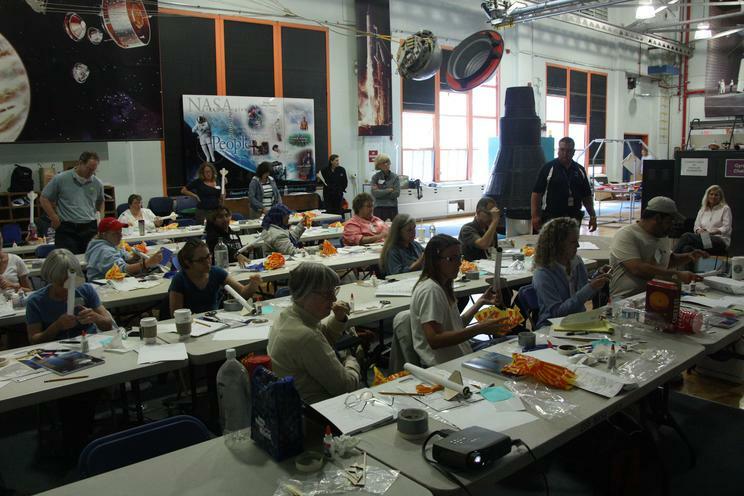 Elementary, middle, and high school resources include eBooks, vetted collections, curricula, and course modules. 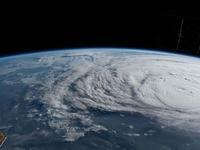 Hurricane season occurs every year and provides unique Earth System Science teachable moments. This collection contains some of the highest quality, vetted lessons and activities plus videos and articles. 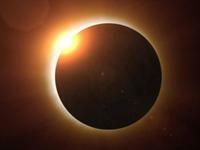 This set contains links to scientific data collection projects, live streams during the Eclipse, and comprehensive websites with educational resources. 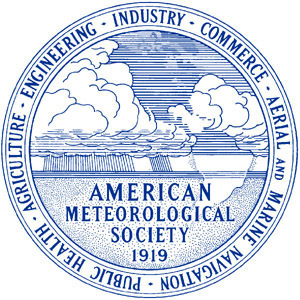 This site of over 32,000 images captures the work, observations, and studies that are carried on by the scientists, engineers, commissioned officers, and administrative personnel of NOAA. 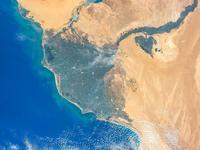 This image bank highlights the diverse processes and phenomena which shape our planet and our lives. 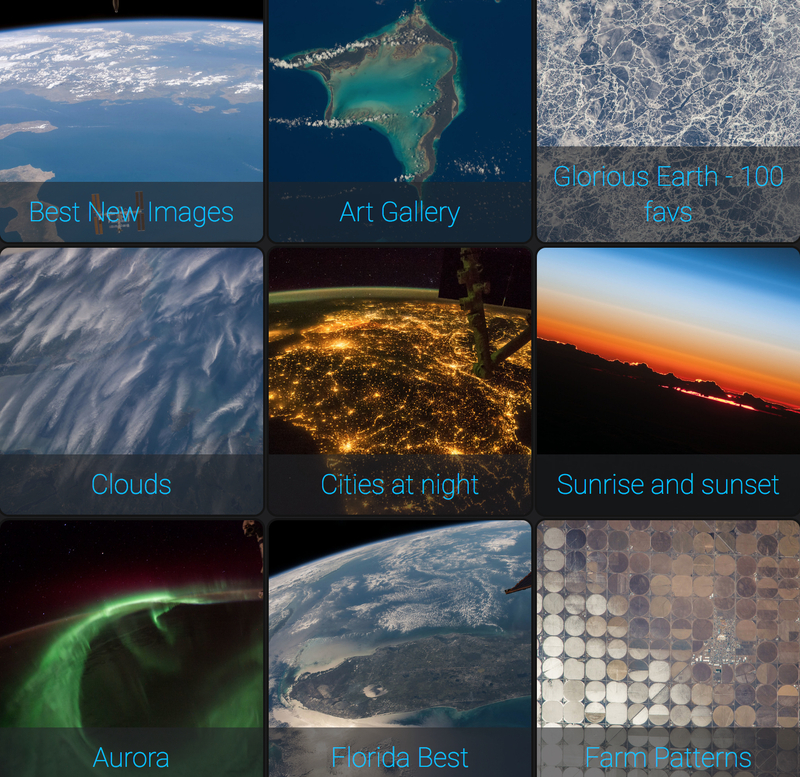 EPOD collects and archive photos, imagery, graphics, and artwork with short explanatory captions and links exemplifying features within the Earth system. 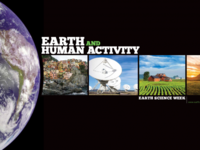 NASA's Earth Observatory's mission is to share with the public the images, stories, and discoveries about the environment, Earth systems, and climate that emerge from NASA research, including its satellite missions, in-the-field research, and models. 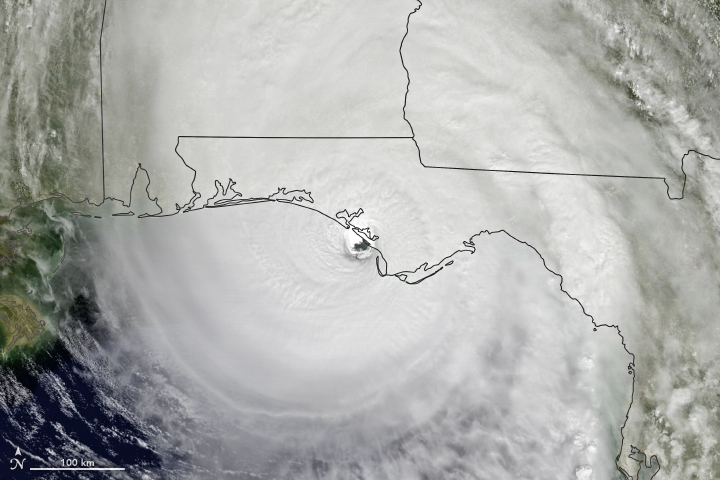 The USGS Multimedia Gallery is a one-stop collection of videos, photography, and audio. All items in the gallery are considered public domain unless otherwise noted. This education project features photographs taken by astronauts on the International Space Station. 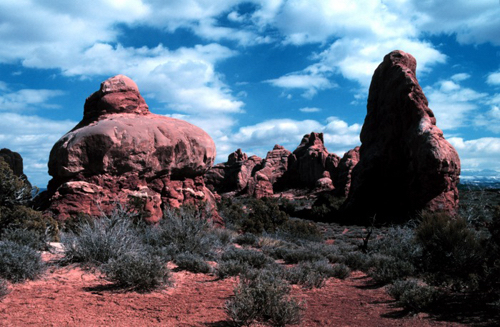 The public domain, photos are often dramatic and help us all appreciate home planet Earth. 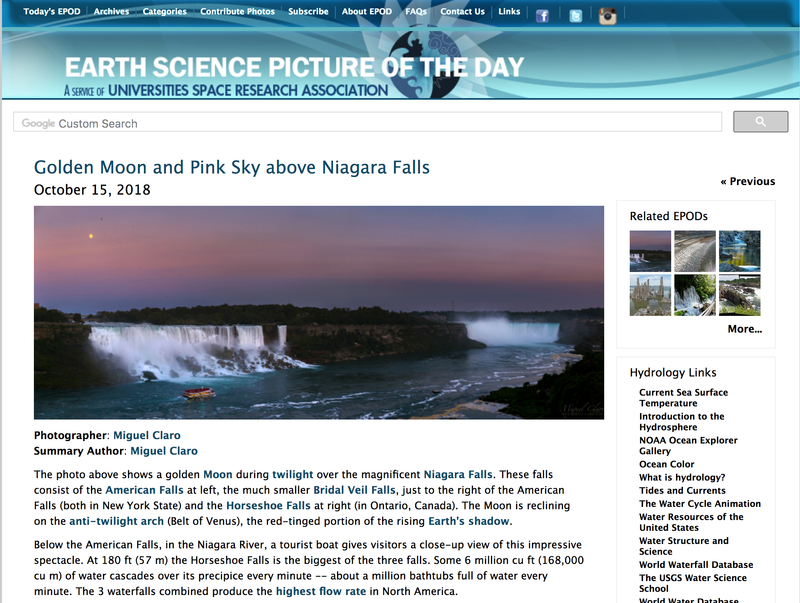 Credit NASA for all photos. 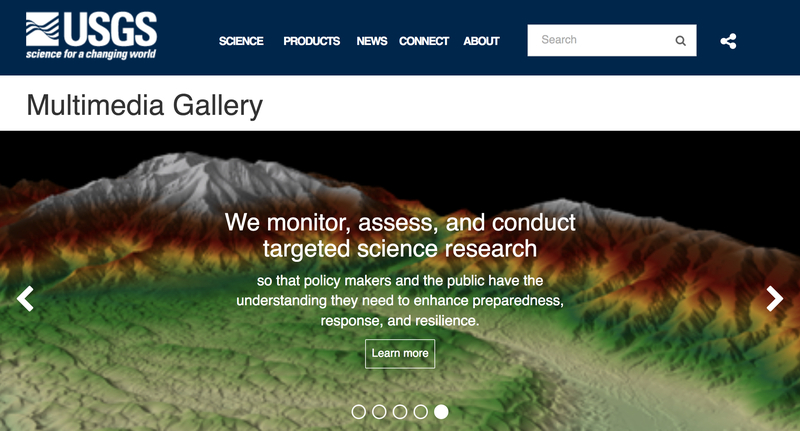 Search for geoscience education resources from a variety of organizations that provide credible and accurate Earth and Space Science resources for all ages. 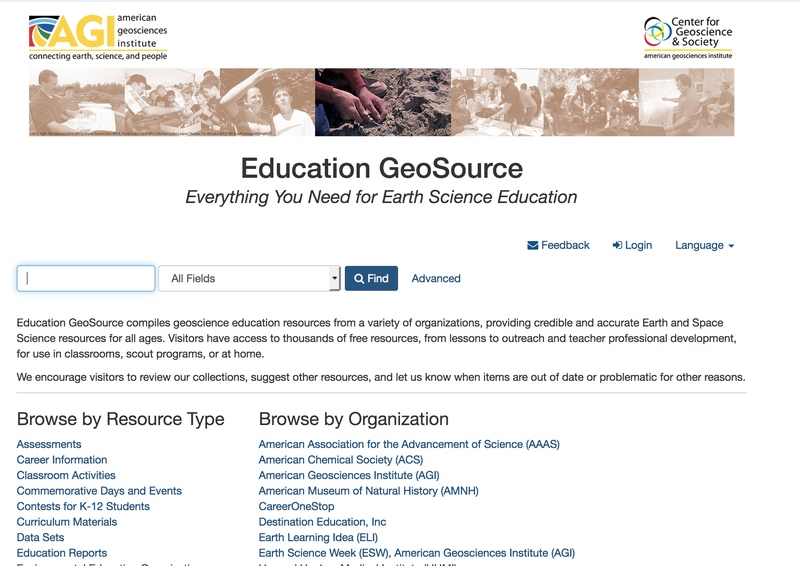 The Education GeoSource database has thousands of free resources, from lessons to outreach and teacher professional development, for use in classrooms, scout programs, or at home. 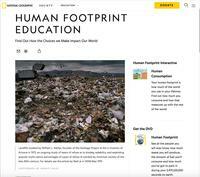 Search this portal from the Science Education Resource Center (SERC) at Carelton College for thousands of resources from dozens of Earth Education websites. 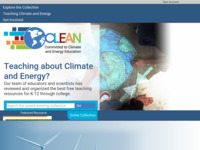 This portal hosts over 700 free and ready-to-use climate and energy educational resources rigorously reviewed by educators and scientists. 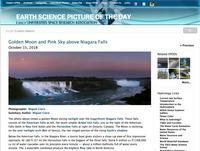 Mark Francek hosts this Google group featuring the best Earth Science Sites of the Week.